God bless the souls of those that were murdered that day and the families they left behind. I can't say the same for the terrorist that carried it out. Needless to say, Disneyland and Walt Disney World were closed as a result of the attack. Most people at the parks were in a panic... no one knew what was happening or if they would be next. No one still does, but memories fade. Perhaps that's how humanity deals with the pain and sorrow of loss... but it also leaves one with a false sense that everything is back to normal. 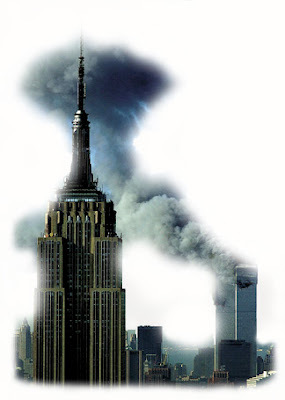 Since that day, America views the world from a prism of fear and doubt. Nothing is normal anymore... hopefully with places like Disneyland and great Disney animated films we can escape a little of the sadness and heartache, but we should never forget what happen.